My recent trip to Charleston had my Mom and I discussing at great lengths on where to eat in this very charming city. It’s the one city where choosing a restaurant is actually difficult. There are a plethora of award winning restaurants….didn’t you know, this is where all the Chefs go? As we walked into Zero George our boutique hotel, we were greeted by a kitchen in their lobby with two chefs cooking away. After a double glance I noticed that the Chef was a former ‘Chopped’ champion- actually a double ‘Chopped’ champion. If this was any indication of what was to come this weekend in Charleston, I knew we were off to great start! 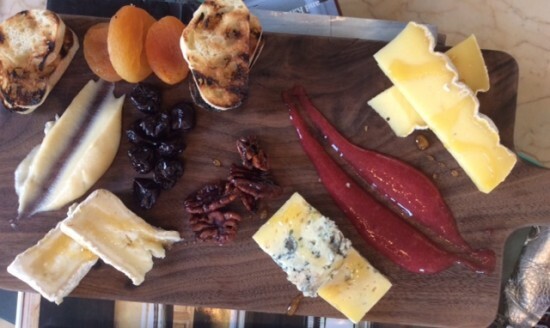 Chef Vincent Perillo is the resident chef at Zero George and in addition to his dinner duties as head chef he also prepares special treats for happy hour (pictured below), and home made granola and jams for breakfast. 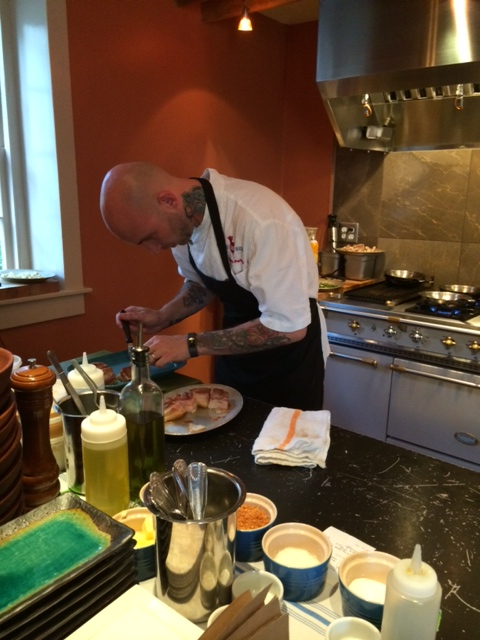 Zero George has their secret weapon in Chef Perillo…the beds aren’t half bad either. The first evening we ate at Poogan’s Porch. The historic restaurant delivered true southern comfort food. I had fried pork chops with mac-n-cheese and green beans. Just be careful if you explore the restaurant, they say its haunted. Scared Squirrel! 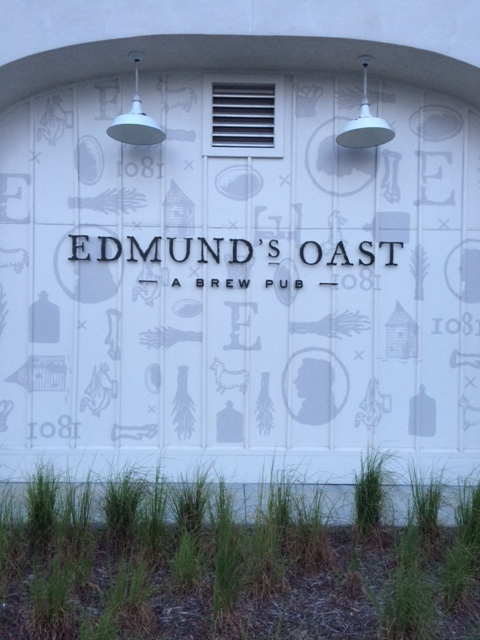 Yes, Dr. Squirrel, we know you love Edmund’s Oast! 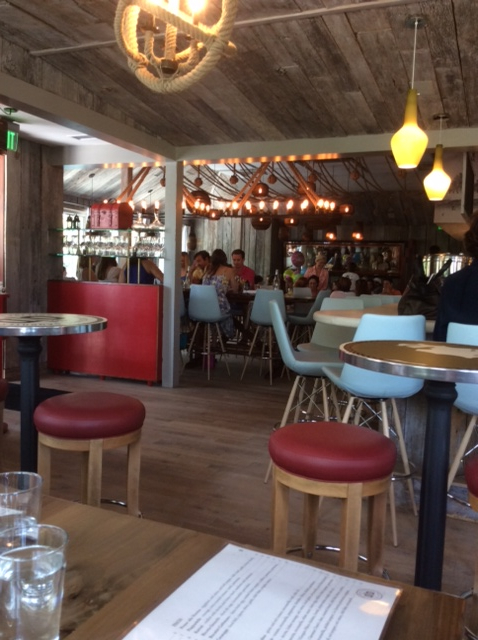 My star of the trip was Obstinate Daughter, a restaurant located in the very popular Sullivan’s Island. 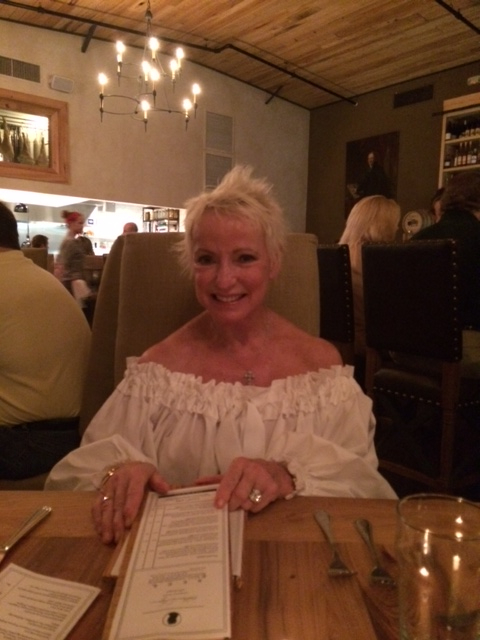 I love the interior design of the restaurant and the food was divine! I had a simple green salad with buttermilk dressing which was true farm to table food. Many of the salads I had on the trip had a buttermilk dressing…gotta love the South! 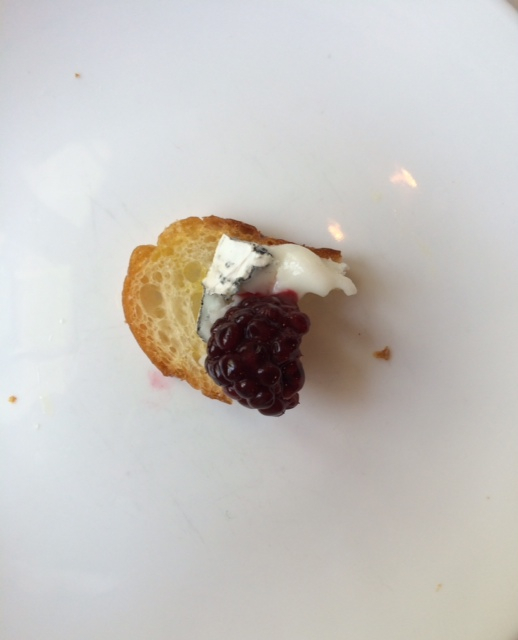 A crostini with delicate goat cheese and a blackberry, was absolutely out of this world and sophisticated. As I ate my way through the meal, each dish impressed more than the next. It ended with a ricotta pizza with purple onion. I am still dreaming about the lunch I had there. Squirrel approved! 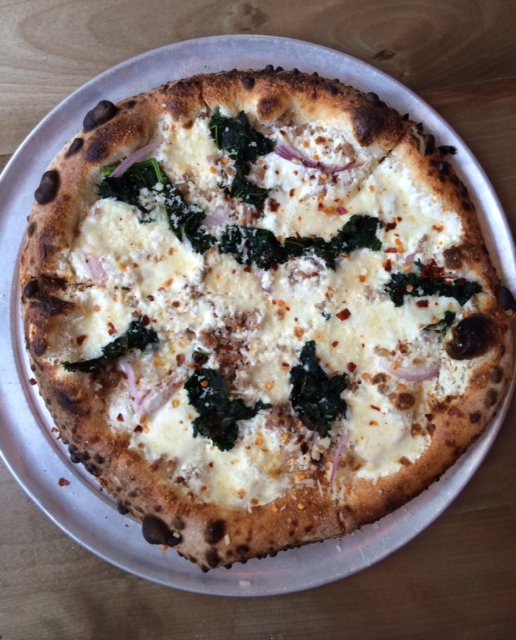 The pizza at Obstinate Daughter. 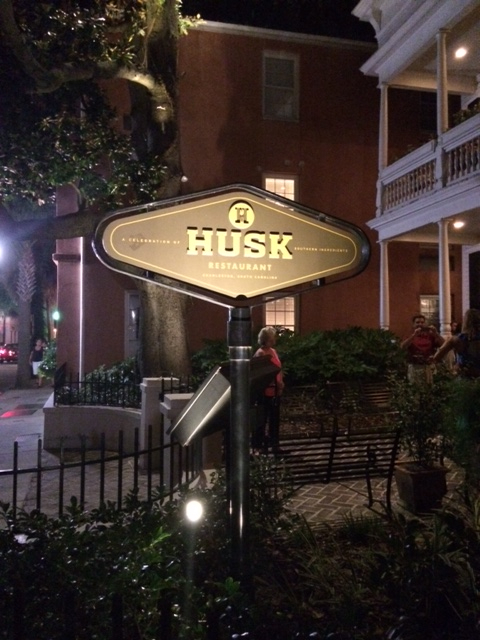 Husk, is another restaurant that has received a lot of accolades and local buzz. We didn’t get to try due to our short trip but next time for sure! No wonder Charleston is on so many top ten lists, this city by the sea is one not to be forgotten. I understand that this popular destination is where all the Chefs go! 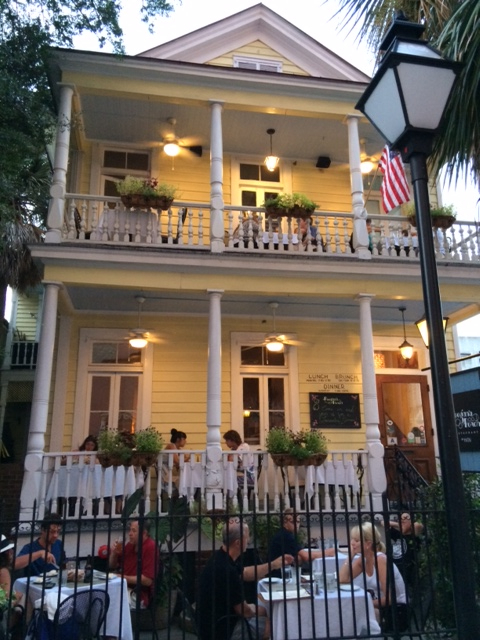 Thanks for this great insight into delicious restaurants in Charleston! I hope to visit there now that I have an empty nest. Savor the day! !